A story which tells of God's power and learning to trust him, these 12 studies are great for individuals or groups. 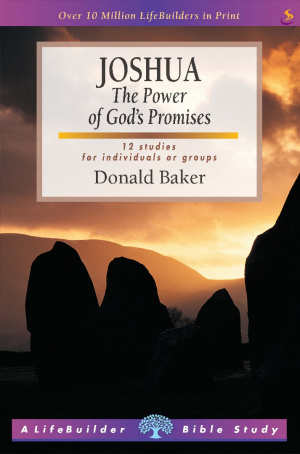 Lifebuilder Bible Study: Joshua by Donald Baker was published by IVP in May 1999 and is our 3567th best seller. The ISBN for Lifebuilder Bible Study: Joshua is 9781859993484. Be the first to review Lifebuilder Bible Study: Joshua! Got a question? No problem! Just click here to ask us about Lifebuilder Bible Study: Joshua.